These words encapsulated King Henry VIII’s time is ruler of England. Henry Tudor (28 June 1491 – 28 January 1547) was born in the year 1491, directly into nobility, his father Henry VII being the ruler of England. He was quickly promised into a political marriage with Catherine of Argon, who was his deceased older brother’s widow, in order that Spain and England maintain their alliance. His father died, and Henry married Catherine at 17, taking the throne. However, King Henry wanted nothing more than a male heir to inherit the throne when he died. After Catherine was only able to give him one female child, Mary, and not able to give him a male heir, he started the English Reformation almost singlehandedly. When Henry sought to annul his marriage to Catherine, the Catholic Church wouldn’t recognize it, due to the Pope. Charles V, being Catherine’s nephew. Henry didn’t have many options, so he decided to separate completely from the Catholic Church due to their unwillingness to comply with Henry’s desires. In 1534, he declared himself the new leader of the Church of England. Henry’s leadership of the Church was one of certainty and totality. He didn’t accept any rebellious acts, and he ordered the people how to worship. The Pilgrimage of Grace, which took place in Northern England in 1536-37, was quickly taken care of when Henry executed the rebellion’s leader and around 200 more. If anybody was seen as a threat, they were executed. 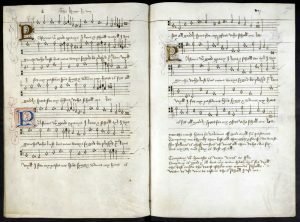 King Henry VIII was a musician, as well as a composer. Henry created and compiled songs, which was published in 1518. 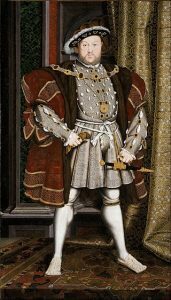 This included wives: Henry had beheaded two of his wives, Anne Boleyn (second wife) and Catherine Howard (fifth wife), who he had suspected to be adulterous. He had six wives in total, two of which he divorced (1 & 4), two of which he beheaded (2 & 5), one who died (3), and one who outlived him (6). He had one male heir, Edward, in 1537. Jane Seymour, his third wife, died 9 days after childbirth due to pregnancy complications. Since she gave him a son, Henry considered Jane to be his only true wife, and mourned long and hard for her death. King Henry VIII died on January 28, 1547. He was very ill as an older man due to jousting and over-eating. Henry possibly had type II diabetes, and he had a weak leg from a jousting wound. He was buried next to his true wife, Jane Seymour, in St. George’s Chapel. After Henry’s death, his sickly son, Edward, took the throne. He died quickly, and was succeeded by Mary I. Mary had a long reign, but was succeeded by Queen Elizabeth I, who was able to continue Henry’s separation from the Catholic Church. Can I just say what a relief to find somebody who truly knows what theyre talking about on the internet. You positively know methods to deliver a difficulty to light and make it important. More individuals must read this and perceive this aspect of the story. I cant imagine youre no more standard because you definitely have the gift.